There are 760 stamps matching your search. 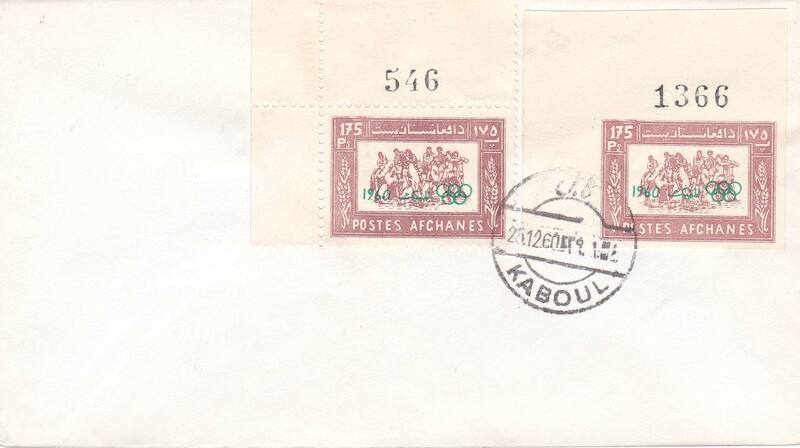 175p Buzkashi Imperforate Overprinted 1960 and Olympics Rings 1960 Kaboul. First Day. Cacheted. 175p Buzkashi Plate 546 Single Overprinted 1960 and Olympics Rings and 175p Buzkashi Imperforate Plate 1366 Single Overprinted 1960 and Olympics Rings 1960 Kaboul. First Day. Uncacheted. 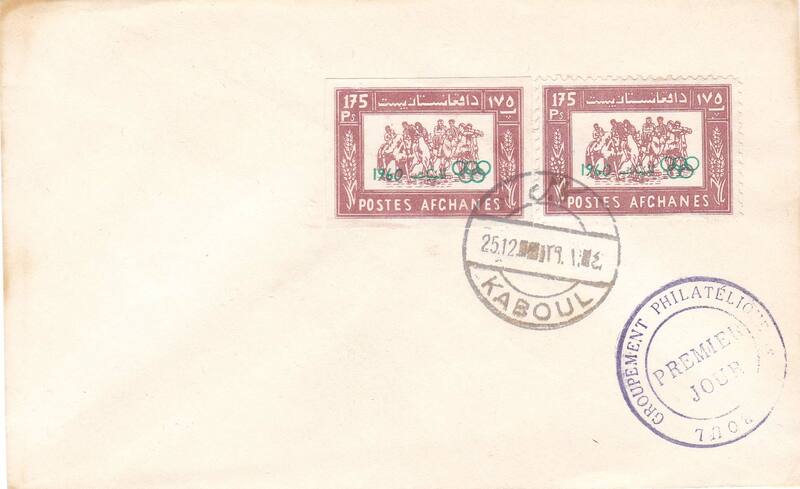 175p Buzkashi Overprinted 1960 and Olympics Rings and 175p Buzkashi Imperforate Overprinted 1960 and Olympics Rings 1960 Groupement Philatelique de Kaboul Premier Jour. First Day. Uncacheted. Unaddressed with toning at top. 175p Buzkashi Overprinted 1960 and Olympics Rings and 175p Buzkashi Imperforate Overprinted 1960 and Olympics Rings 1960 Kaboul. First Day. Cacheted. 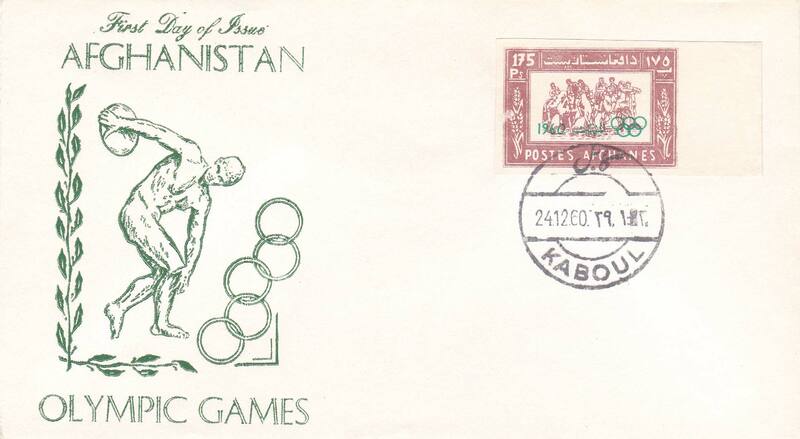 175p Buzkashi 1960 Olympics Souvenir Sheet 1960 Kaboul. First Day. Cacheted. 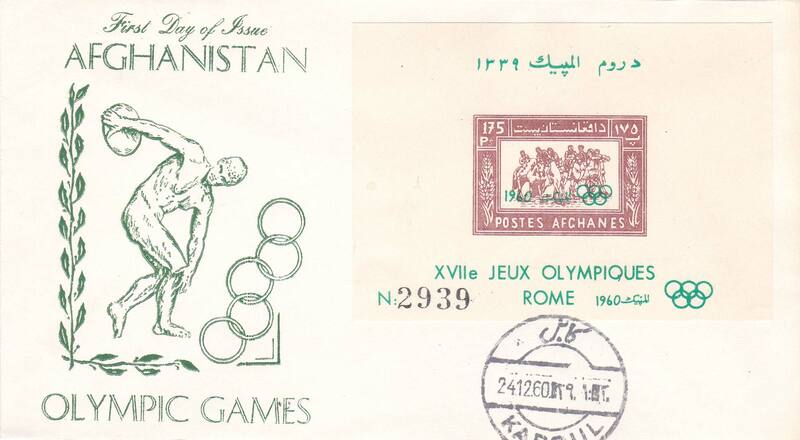 175p Buzkashi Overprinted 1960 Olympics Souvenir Sheet. 5af, 9af, 11af, 15af, 18af, 20af and 22af 1984 Olympics.